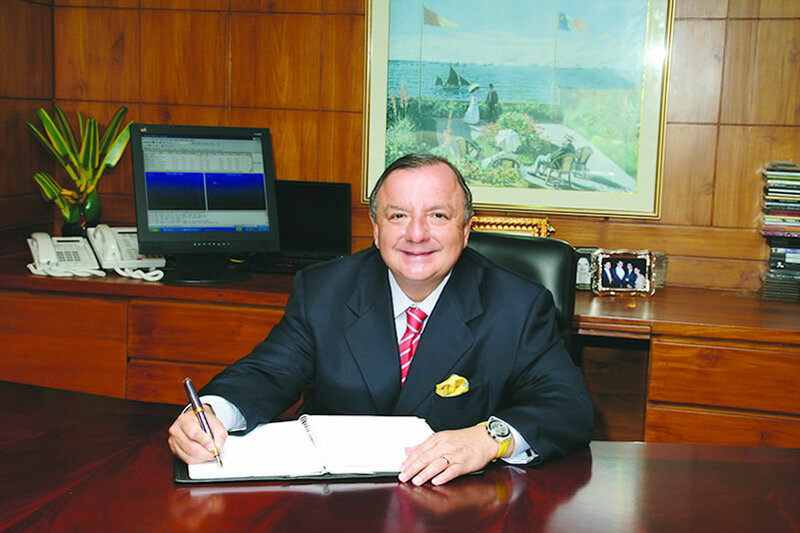 Ecuadorians, I have resolved to travel throughout the world in order to open new markets for Ecuador, thereby, ensuring our products to be sold in greater numbers – whether it be bananas, coffee, shrimp, plantains, among others – in order to generate employment in Ecuador, in view of the crisis we are facing and which we have to overcome through productive work. This, in turn, will augment our presence and will increase the sales of our products of incomparable quality and national pride. I have determined to knock on the doors of the most important businessmen of the world; Today I am in England, where there is a high demand for Ecuadorian food products, and for that reason, I have recognized the commitment of my country, and my businesses, of exporting those products to these nations. 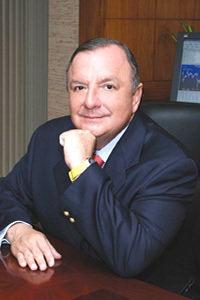 Eastern Europe will become an important client for Ecuador. This will generate work for the Ecuadorians, for the people of the Ecuadorian mountains, who produce and export vegetables, flowers and crafts, and also for the coastal people from: Esmeraldas, Manabí, Los Ríos, El Oro, Guayas and Santa Elena, who produce fruit, rice, tuna, shrimp, and all kinds of goods. This is what I am doing today, conquering the world of business, so that Ecuadorians can produce for the whole world and have more jobs and a better compensation every day. As a businessman, what is your opinion on the crisis the country is going through? 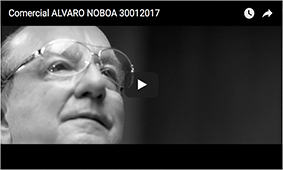 Alvaro Noboa has opened new markets at United States, Europe, Latin America, among other regions. There is a number of reasons. The economic policies of previous governments have currently generated in Ecuador the worst crisis of recent times and have caused an increase in the number of unemployed. The stagnation of trade development, caused by a lack of investment in the country. The migration of companies to other countries like Peru, Colombia, etc, or which are simply keeping their money in savings. The low domestic production. All these sums make Ecuador a state in decline. The negative growth would be even worse if we would not receive a fair price for the exploited oil. Although it is true, the price of oil is lightening the fall we are experiencing, but there is certainly a fall, and I think that we, all the Ecuadorians, are feeling, whether as consumers, due to rising prices, or as businessmen who are discouraged, or just like normal people, as workers who, every day, find it difficult to get a job. The external crisis which has also affected Ecuador, is credit type. There was a surplus of money worldwide, including oil money, and this was enough financial support to encourage people to purchase properties. Many people who did not even have initial credit, and even unemployed people, with no monthly incomes, bought properties. What did this bring about? It caused that unemployed, and the newly unemployed stop making monthly mortgage payments, thus those loans were declared overdue, and consequently non-performing loans, the banks suffered great losses which began to sweep through international banking, because this occurred worldwide. As the international bank dilapidated, an international rescue was required to cushion the collapse of international finances. But that does not mean that international banking is out of danger. The bank is in intensive therapy, as they say in medical terms. International banking has been hit terribly hard and, I was not wrong in this. In the last thirty or forty years that I have been working, many productive years – ten or fifteen – will have to pass by before the losses generated in the last three years can be recuperated. It would be silly to think that a loss this big will be recuperated in one or two years. This situation has caused the affectation of banks by the loans crisis and the stagnation of loans, by not lending money, there is no longer a crisis in the purchase of homes, but rather there is a crisis in general. Remember that I was Chairman of the Monetary Institute, I took the reserves of Ecuador to nearly 2 million dollars and for that reason the interest rates decreased. Therefore, I have proof that I know very well what I’m talking about regarding these issues. Due to the global crisis, private companies and banks have reduced their production costs, and that has caused unemployment. Currently, there is lack of jobs worldwide and because of unemployment, there is no consumption. And, due to a decrease in consumption, there is a drop in the global demand for products. How should, or how could the private enterprise generate jobs? Companies must perform a series of corrections, as I have done so with my business. Hopefully there is no more unemployment than the one already originated, because if there is more unemployment, there will be even fewer consumers. For that reason, the best is not to fire people, unless the company really has no choice and is declared in bankruptcy. Until then, the company should try to keep people. Secondly, to reduce unnecessary expenditure. Today the excessive costs will cause Ecuadorian products not to be in competition, so we should stop any excess costs, either in human resources or business costs. Third, and the most important, looking for new markets that can increase the demand of our products. Our current markets are Western Europe and the United States. Besides maintaining those markets, especially the United States which is Ecuador’s biggest buyer, we should open markets in Eastern Europe. Nowadays, Eastern Europe consists of newly independent republics, including Turkey and the Black Sea. The populations of those countries reach 500 million people, and besides them, we need to add China, which is on the opposite pole of the current economy, but nevertheless, it is growing at a 7.5% rate, while in Ecuador and the rest of the world were are living a downturn. Therefore, we are approaching to all of these markets so that these people who wish to buy better food products, but can’t because of the crisis, will consume them when the crisis is over. I estimate that that population will begin to consume several times more than they are consuming at the moment, which will create another opportunity for Ecuador to export our bananas, our coffee, pineapples, mangos, plantains, flowers, etc., all of our products. It is important for us as producers, to be in those countries that are entering into those markets and taking advantage of food consumption. For that reason, I am travelling throughout the world to open new markets that will benefit Ecuador, as it will generate new jobs and positioning of our products in these markets thanks to national exporting firms. I am a firm believer of the free enterprise and we should follow the example of those countries that have undertaken the challenge of developing their economy, their agriculture, with the full support of their governments. What should companies do to make people understand that the free enterprise is the way to create jobs and economic growth? I think that the best example is through the resale experience. I can mention China, that despite the global crisis, continues to grow, while, on the other hand, the economy of Ecuador, despite achieving a high oil price continues to decline. Therefore, there is a setback in the economic activity. Centralism, anti-business, the communist regime have failed around the world, and will lead to higher unemployment, a worsening of the recession, while the free enterprise scheme of development, the support of investors, has proven to be what occurs in China. The private sector has been affected in recent years. What should be done? We are living in a democracy and, through the Assembly and the media, we must express our views. I think it’s an opportunity for me to call from Europe to Ecuador, to tell my experience as a businessman, and to inform the country of what is happening in the world, and what is happening in Ecuador. What is the cause of the crisis? The cause of the crisis is internal and external. It is important that the people of Ecuador are aware of what causes the damage. How can we encourage companies that want to diversify our markets despite the crisis? I think there’s something even more serious that happens in Ecuador and that the sector of the bananas producers is suffering. In the banana sector, companies formally recognized as Noboa, Dole, Del Monte, are paying official prices, but other informal businesses, which represent more than the half of the country’s exports, are paying much less than the official price of a box of bananas. Although we are paying the official price of a box of bananas and we are being controlled, unofficial companies are paying much less, and nothing is said, and that allows the international market damage. Because in countries where our products are bought, they sold the products at much lower prices than ours, damaging the international prices of a box of bananas. In supermarkets where our products are sold, they ask me, “Mr. Noboa, why did you sell a box of bananas at a higher price than other Ecuadorian exporters?” And I say, “because they pay much less to the producer”. “But that’s not my problem. If you want to sell your product here, lower the price.” Therefore, in this way, unofficial exporters cause damage in the market. A loss for both the exporter and the producer. How does it feel, being Ecuadorian, failing to invest in your own country while in other countries you are welcome, you are offered legal protection and taxes are not imposed? I feel terribly discouraged because in Ecuador, where we have been number one on most of our products, we are the most persecuted, the most harassed, from different angles and also the bad press puts us in the public eye. They are always saying I’m a tax evader, although I am a big taxpayer in Ecuador and the figures are there to prove it. They have to look what my businesses pay, I pay taxes as an individual taxpayer, and they will realize that I am the biggest contributor of the country. With regard to work, we have requested changes, since many were protected against claims, when they had never worked even for us. My businesses and I constantly receive international recognition for our excellent commercial relations, and the high quality of our Ecuadorian products. The Government of Canada recognized the Milling Industry for purchasing wheat for over 45 years. La Hacienda Alamos received recognition for being the farm with the best service, both in terms of product and quality, a recognition to the employees who benefit today of studies, medical services, company stores and, of course, wages as required by law. Finally, despite all the problems that you and your companies face, are you going to continue in politics, and attempt to solve these problems? Or are you completely disillusioned by politics? I said, and I always keep saying: while there is poverty in Ecuador, I will follow, from all angles, including the political, to try to bring poverty to an end. I consider politics as a civic duty in trying to achieve my ultimate goal, which is to ensure that Ecuador overcomes poverty. How many times have those politicians convinced the Ecuadorian people to vote wrongly, promising pie in the sky? The association of Hospital Volunteers of Guayas ASVOLH, Institution that on October celebrates its 29 years of uninterrupted services to patients of the community hospital of the Honorable “Junta de Beneficencia of Guayaquil” (Guayaquil Welfare Board). 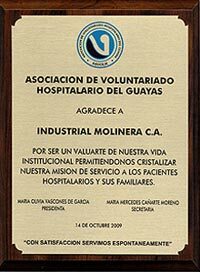 At the Extraordinary General Assembly, for its Anniversary on the 14th of October, it handed over a commemorative plaque to Industrial Molinera C.A. due to its valuable support given to such institution. 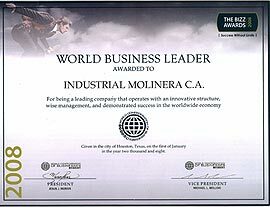 During a ceremony performed at the Hilton Colon Hotel in the City of Guayaquil, the World Confederation of Businesses, with headquarters in Houston, United States, presented the Bizz Awards, to 56 Ecuadorian Companies, Industrial Molinera C.A. earned its recognition.